The environmental professionals at Clark Seif Clark (CSC) provide testing solutions for properties impacted by the recent forest fires. Combustion by-products, including soot, char and ash, can infiltrate homes and businesses leaving behind smoke residues. To date, California has experienced a record wildfire season with CAL Fire reporting 1,563 fires between January 1st and May 17th of this year. This number compares to a 5 year average of 831 during the same time period. Fires have also been recently raging in many other parts of the country, including Alaska and Arizona. Due to the heroic efforts of fire fighting professionals, many homes and businesses in the impacted areas have been saved from direct harm due to the flames, but now are faced with smoke infiltration damage. Smoke from wildfires can cause damage to structures near the fire and can travel long distances due to prevailing winds. 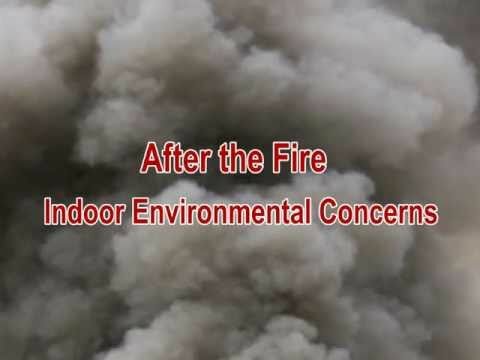 Smoke residues leave behind unpleasant odors and can at times result in more serious concerns. Although proof of smoke infiltration is sometimes obvious, other times the evidence is quite subtle and may require testing for proof of damages. “Combustion by-products, including soot, char and ash, can infiltrate homes and businesses leaving behind smoke residues,” said Franco Seif, President of Clark Seif Clark, a leading fire and smoke residue consulting firm. “At times it may be left to the property owner to show proof of combustion by-product residues to assist in the insurance claims process. Smoke residue testing can also determine the extent of its presence and help to establish a reasonable scope of cleaning to return the property back to pre-fire conditions. CSC has years of experience testing for smoke residues and can help people facing these challenges,” he continued.